You are a few steps from becoming a winner. Visitwww.bbntrivias.com today and play! 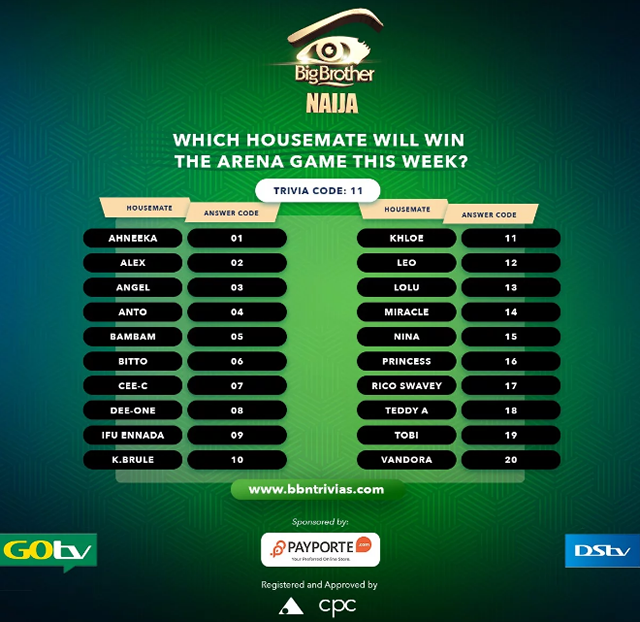 Answer weekly questions on www.bbntrivias.comand stand a chance to win the grand prizes or any of the consolations prizes for a Trivia fee of N50 only! You can vote on the website or with your bank USSD codes or even with local agents! 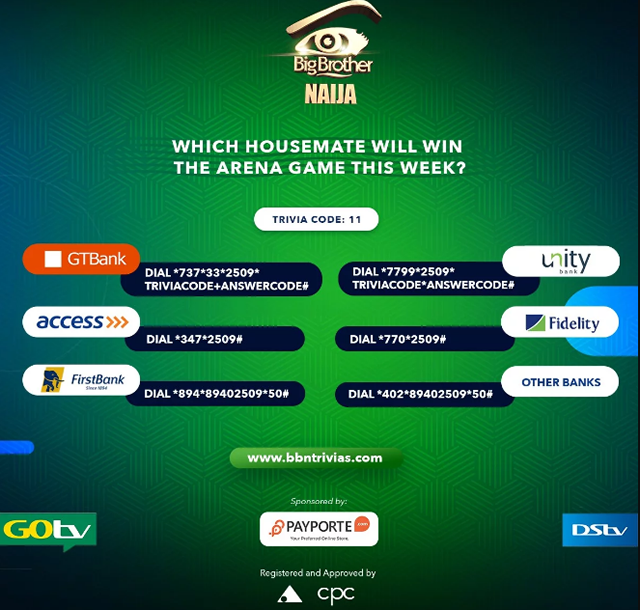 Once a viewer’s prediction is correct an SMS is sent to notify the viewer that they stand a chance to win any of the prizes during the raffle draw live show. A raffle is drawn with only the numbers of successful predictions with the correct answer. The raffle is preloaded and automated with all the numbers submitted by our financial partners with VALID ANSWER ONLY. The winners’ numbers will be displayed during the live show and also a notification will be sent to the winners. For validation purpose, before the prizes are given, the winner will provide other forms of identification. This raffle will be drawn WEEKLY few minutes after the live show on SUNDAYS. 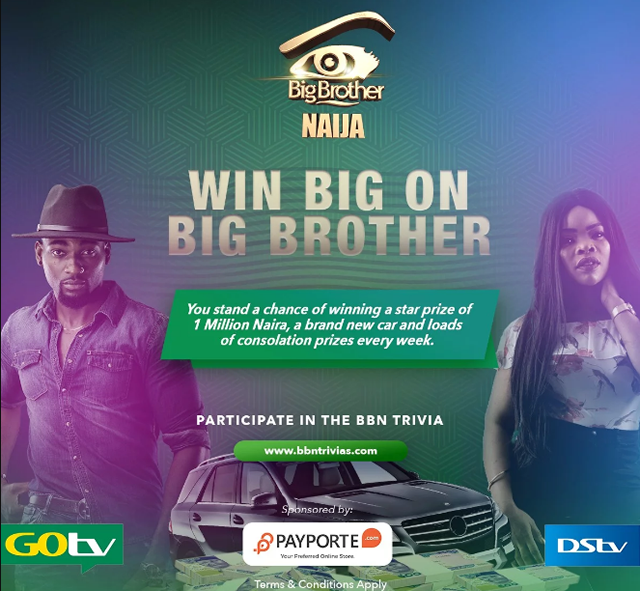 Viewers are allowed to submit MULTIPLE ENTRIES to stand a chance to win any of the prizes weekly.